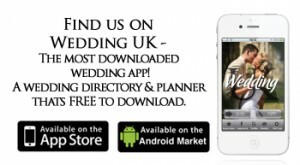 You can now find us on the most downloaded Wedding App in the country! Download the app and you can find us in photographers in West London. This outstanding wedding planner will help you organise everything from your Guest List, Seating Plan and Budget to your Music, Invitations and Gifts. It is free to download from the Apple App Store, and will work on your iPhone, iPad or iPod Touch. You can also get it from Android Market and so will work on your android smart phone. Of course you should still check out our recommendations for other wedding service suppliers on this website where we list those that we’ve worked with directly. But we’d be very interested to know how you get on with the app.